In those days, all the princes of Judah, the priests, and the people added infidelity to infidelity, practicing all the abominations of the nations and polluting the Lord’s temple, which he consecrated in Jerusalem (2 Chr 36:14). This is what happens when faith falls out of fashion. The Israelites learned that the hard way. Is there any other way? That’s the only way that I know how to learn. The fourth Sunday of Lent is called Laetare Sunday, Laetare Latin for “joy.” Like Gaudete Sunday during Advent, this occasion offers us respite during Lent. Laetare Sunday is a deep draught of water, vital to the desert traveler. Clergy sport rose-colored vestments—let no one call Father’s chasuble “pink”— to emphasize that, halfway through Lent, everything is coming up roses. But every rose has its thorns. There is rejoicing in the Church but outside her walls not always. The author of the Book of Ecclesiastes writes: “There is an appointed time for everything, a time to be silent, and a time to speak … a time to love, and a time to hate; a time of war, and a time of peace” (3:1, 7b; 8). Allow me to direct your attention to a familiar sign: that bumper sticker that reads “Coexist.” In these parts, that transportable slogan is as ubiquitous as a Spartan bumper sticker. Between the two stickers there are enough in the capital region to wallpaper the interiors of entire subdivisions. “Coexist” is spelled with letters crafted into symbols representing various religions and philosophies. Islam. Peace. Gender equality. Judaism. Paganism. Yin and Yang. Last but not least, Christianity. When I see “Coexist” I think of freedom of religion and freedom of speech, rights guaranteed to American citizens under the Bill of Rights. Congress shall make no law respecting an establishment of religion, or prohibiting the free exercise thereof; or abridging the freedom of speech, or the press; or the right of the people to assemble, and to petition the government for a redress of grievances. The First Amendment is our American birthright and its origin can be traced back to the Book of Deuteronomy. “For what great nation is there that has gods so close to it as the Lord, our God, is to us whenever we call upon him? Or what great nation has statutes and decrees that are as just as the whole law which I am setting before you today?” (Dt 4:7). These are the words that Moses spoke to Israel beyond the Jordan River in the desert (Dt 1:1). If we are free to speak openly and without hindrance then we are free to speak about the source of our birthright—God. Civil rights don’t come from the government; they come from God. With freedom comes responsibility. For me, that means remaining open-minded, and keeping the faith. Let’s look at this through another biblical perspective. The answers are the scriptures; the scriptures are the answers. In the Second Book of Chronicles, composed in 400 BC, the wrath and mercy of God are displayed during the Babylonian exile. The Lord punished his people for abandoning their faith and banished them from Jerusalem for seventy years. Chronicles was written by a scribe named Ezra, a reformer who insisted that his people obey the Law. They stopped praying, intermarried, desecrated the Temple, and persecuted the prophets who warned them of the consequences. It was the prophet Jeremiah, lonely, engaging, and intense, who told his people the truth: return to God or witness the destruction of the Temple and Jerusalem. “This whole land shall be a ruin and a desert. For seventy years this nation shall be enslaved by the Babylonians” (Jer 25:11). But the people wouldn’t listen. They put Jeremiah in the stocks and then threw him down into a well. Jeremiah lived to see his prophecy fulfilled. Jerusalem and the Temple—their birthright—were lost. Faith had fallen out of fashion. Time for an intervention. The Israelites were behaving like spoiled complacent children, “adding infidelity to infidelity” (2 Chr 36:14). They held their breath. They stamped their feet. So God took out his switch and gave ‘em a whoopin’, opened up a can of you-know-what. Then he gave them a time out. There are parallels between ancient Israel and today’s American experiment, albeit loosely. I will cite three examples. A young Muslim woman applied for a job at Abercrombie and Fitch, the preppy clothiers, who refused to hire her because she wore a headscarf. She told USA Today: “I learned that I was not hired because I wear a headscarf. This shocked me. Observance of my faith should not prevent me from getting a job.” Her case went to the U. S. Supreme Court and she won, the way that David toppled Goliath. Faith came back into fashion. Like khaki trousers and Chuck Taylors, faith should always be in fashion. But it’s a double-edged sword. Across the board religious discrimination is wrong, whether you’re a “c” an “o” an “e” an “x” “i” “s” or “t” on the bumper sticker. Yet it begs the question: is it right for the government to tell a private corporation who they can or can’t hire? The Jews lost their nation because corrupt leaders failed to keep God’s Law and the merchant class engaged in all manners of shady business tactics—they stole the sandals off their customer’s feet. Fathers and sons shared prostitutes. Unlike our society, their heritage was not a plutocracy—it was a theocracy. That’s why they suffered so terribly: for disobeying God they lost their land, which to them was the same as losing God, who gave them both their law and their land. Closer to home, pending legislation in Michigan could protect religious objections of adoption agencies that feel conscience-bound to refuse services that conflict with faith-based standards. Some claim that the law would engender government-sanctioned bigotry and deprive children of families. Others contends that the protection of religious freedom is paramount. 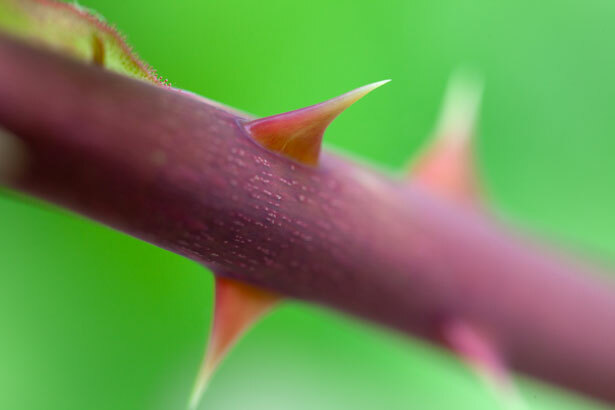 A thorny issue. Is it both/and or either/or? Meanwhile, the Supreme Court decided that the University of Notre Dame should not be forced by the government to offer the provision under the Affordable Care Act that requires employers to provide employees with coverage for contraceptives, sterilization, and abortifacients. Believe it or not, Notre Dame was the only non-profit organization in the U.S. without an exemption from the mandate. But the justices upheld Notre Dame’s right to religious freedom. The Supreme Court upheld the faith. For now. When faith falls out of fashion, sanctions follow. The word catholic means “universal.” In order to preserve our rights we need to circle the wagons. We’re all in this together, regardless of what letter you are on the bumper sticker. Cyrus, a monarch, ruler of the largest kingdom in the world at the time, was a uniter not a divider, and, by his actions, he found favor with God. In ancient times politics and religion were worth talking about, and together Jews and the king forged a strong union in good faith. May we strive to continue to do the same.